GNOME 3.26 'Manchester' desktop environment is here, Linux fans! When people think of Linux-based operating systems, they often imagine people typing in a terminal or coding in a basement while drinking Mountain Dew -- yeah, those stupid old stereotypes still exist, sadly. While that is surely part of the user base, other users choose an open source operating system for nothing more than using their computer as a tool. In other words, some folks use Ubuntu, Fedora, or other distros just to get normal stuff done -- word processing, web surfing, and more. No terminal. No coding. No religious-like experiences. For these Linux users, and others, the desktop environment sort of is the operating system. It is how they interact with their computer and launch their apps -- what's under the hood doesn't necessarily matter. For many, GNOME 3 is their preferred environment, and for good reason -- it is beautiful, intuitive, and getting better all the time. Today, GNOME 3.26 codenamed 'Manchester' sees release. It is chock full of improvements, such as a much-needed refreshed settings menu, enhanced search, and color emoji! Yes, Linux users like using the silly symbols too! "System search has been improved for GNOME 3.26. Results have an updated layout which makes them easier to read and shows more items at once. Additionally, it's now possible to search for system actions, including power off, suspend, lock screen, log out, switch user and orientation lock. (Log out and switch user only appear if there’s more than one user. Orientation lock is only available if the device supports automatic screen rotation.) 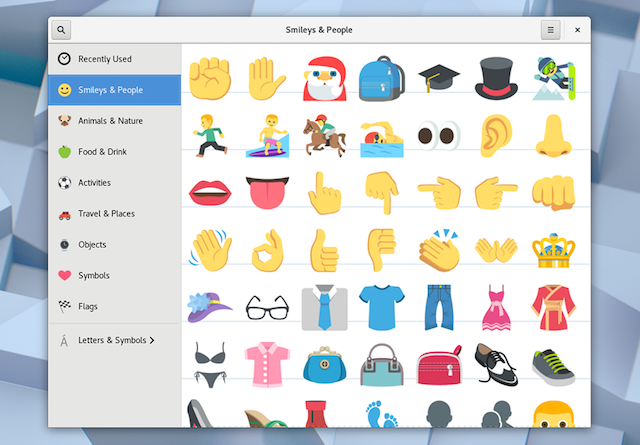 These search features can be accessed in the usual way: click Activities and type into the search box, or simply press 'super' and start typing," says the GNOME Project. 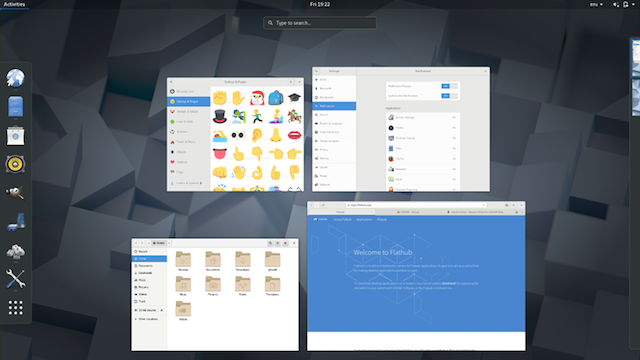 The project further says, "GNOME 3.26 introduces a new layout to the Settings application. The previous grid of icons is gone and, in its place, a sidebar allows switching between different areas. The new sidebar makes it much easier and quicker to navigate the settings application and places the most commonly used settings within easy reach. It also means that the Settings window is now bigger and can be resized, which is more comfortable in a lot of situations. GNOME's network settings have been improved as part of this work: Wi-Fi now has its own dedicated settings area and network settings dialogs have been reworked, so that they are neater, clearer and easier to use." GNOME 3.26 has many other changes (24,105 actually! ), with just some listed below. You can read the full release notes here. The dialogs which inform you when an application isn’t responding have a new style, making them look more integrated and refined.Boxes, the GNOME application for virtual and remote machines, now allows folders to be shared between a virtual machine and your computer. To use this feature, just select which folders you want to share from the box settings, and they will appear as network locations in the guest. The easiest way to try GNOME 3.26 is to wait for the desktop environment to become available for your favorite Linux distribution. Ubuntu users, for instance, won't have to wait long; GNOME 3.26 will be the default DE for version 17.10 which is due next month. Users of other Linux-based operating systems might have a longer wait, unfortunately. 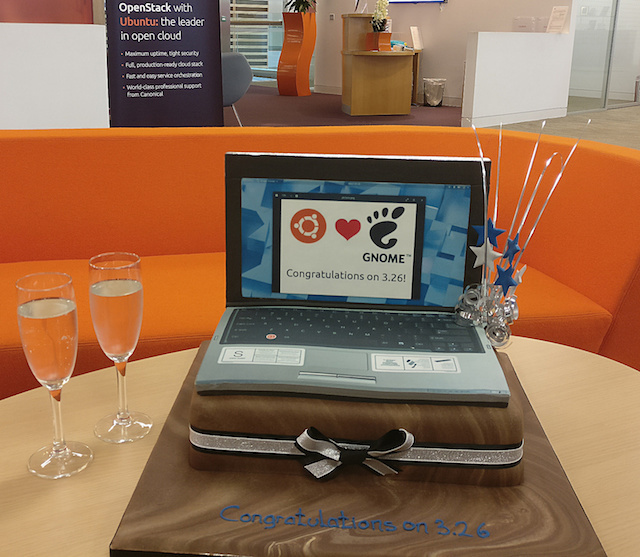 Are you excited for GNOME 3.26? Tell me why in the comments below.